Ad Man William "Bill" Backer R.I.P. It was twelve years ago today, on June 4 2004, that I started A Shroud of Thoughts. 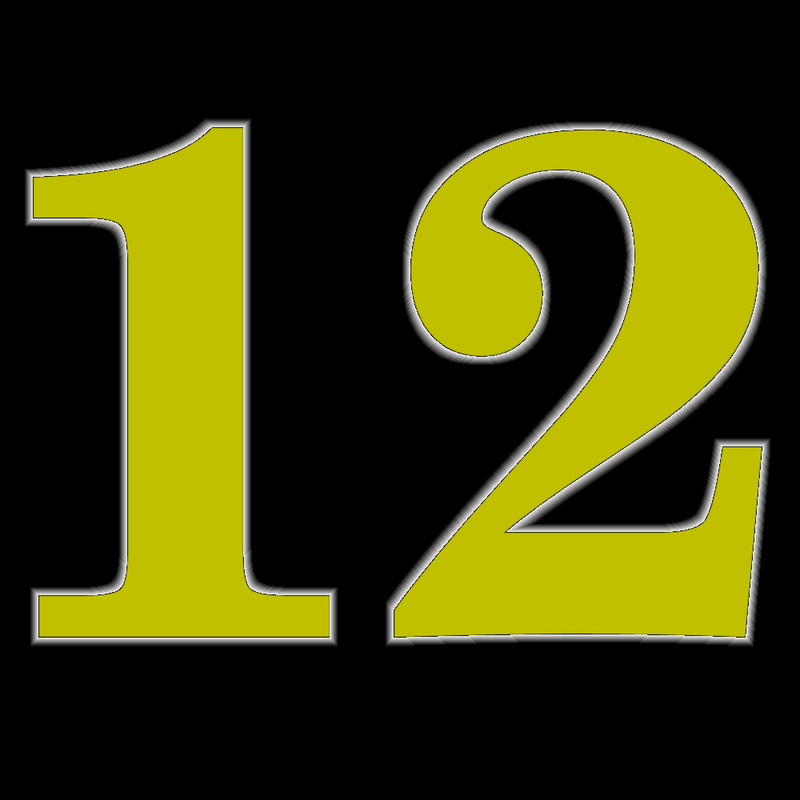 At the time I had no idea that I would still be writing on the blog twelve years later. It has lasted longer than any job I have had, as well as any romantic entanglements. In many respects, I suppose A Shroud of Thoughts has become my life's work. Short of Google shutting down Blogger, it could be a legacy I leave behind long after I am gone. Had I not filed my mind, which thus itself subdued. I must confess that after a time I thought of changing the name of the blog, but by the time I seriously considered doing so the blog already had a small readership. I thought it might confuse people if A Shroud of Thoughts became something else. Even today I have thought of changing its name, but I fear it would throw my readers off! It seems it will then remain A Shroud of Thoughts forever. A Shroud of Thoughts has changed some over the past twelve years. It has always been devoted to pop culture, but in the early days I also wrote things of a more personal nature. I finally decided people probably weren't interested in my rather dull life, so the more personal posts fell by the wayside. One big change on the blog is that I find myself writing many, many more eulogies for actors, musicians, and other pop culture figures who have died than I once did. Indeed, from January to April of this year I swear the majority of my posts were eulogies. I must confess I hate writing eulogies (let's face it, for me to do so someone has to have died), but I feel an obligation to do so as a means of honouring those who have an impact on my life with regards to popular culture. There was a time when I also reviewed more recent movies and TV shows. I never made a conscious decision to stop doing so, but being more interested in popular culture from the past the reviews of more recent films and TV show simply fell by the wayside. Here I must point out that A Shroud of Thoughts is not the only blog that has been around for a long time, as there are many others dating to the early to mid-Naughts. Immortal Ephemera is even older than this blog, dating to 2002. Inner Toob is about a month and a half older, launching in April 2004. Both The Stop Button and Laura's Miscellaneous Musings date to 2005. The Rap Sheet just celebrated its 10th anniversary last month. While blogs older than a decade are rare, they aren't exactly as rare as one might think! By the way, I strongly recommend that you visit all of these fine blogs (they've lasted so long for a reason). Julia Meade, who served as a pitchwoman on The Ed Sullivan Show and acted on stage and film, died on May 16 2016 at the age of 90. Julia Meade was born on December 17 1925 in Boston, Massachusetts. When she was ten years old her family moved to Ridgewood, New Jersey. She later graduated from the Yale School of Drama. In 1947 Miss Meade made her professional stage debut in the traditional production of The Lost Colony in North Carolina. In 1948 she moved to New York City where she was a model for the Harry Conover agency. Her first work in television came the same year. She worked at the Du Mont TV studio in Wanamaker's department store in New York City. In 1952 she appeared in an episode of Lux Video Theatre. In 1953 she appeared in an episode of Goodyear Playhouse. It was that year that she was hired as a pitchwoman on Toast of the Town, the variety show that would eventually be renamed The Ed Sullivan Show for its host. She appeared in live ads for Lincoln automobiles on the show. She also promoted products ranging from Hudnut hair products to Kodak cameras. Before the end of the Fifties Julia Meade was a household name. She continued to appear on The Ed Sullivan Show until 1967. In 1954 she appeared on Broadway in The Tender Trap. During the Fifties she also appeared on Broadway in Double in Hearts and Roman Candle. On television she appeared in episodes of Armstrong Circle Theatre and Playhouse 90. She played Marie in the movie Pillow Talk (1959). During the Sixties she continued to appear on The Ed Sullivan Show. She also appeared on the game show The Match Game. She guest starred on The Christophers and appeared in the movies Tammy Tell Me True (1961) and Zotz! (1962). She appeared on Broadway in Mary, Mary and The Front Page. In the Seventies she guest starred on CBS Daytime 90 and Ryan's Hope. In the Eighties she appeared in the TV movie My First Love and the film Presumed Innocent (1990). Well into the Nineties she continued to appear in various stage productions. For a time Julia Meade was a household name. Through her weekly appearances on The Ed Sullivan Show she became a very familiar face for many Americans. TV Guide once called her Ed Sullivan's "favourite salesgirl", and one has to suspect she was a favourite with many Americans as well. Of course, Julia Meade was much more than a commercial spokeswoman. She was an actress of some talent. She won the Sarah Siddons Award for her performance of Mary, Mary when it was in Chicago. Miss Meade was quite enjoyable in the few movies she made, including Pillow Talk, and she was quite good as the female lead in Zotz!. Today Julia Meade may not be particularly well known, but for a time she was a household name and she was always a very talented woman. William "Bill" Backer, the advertising man who created Coca-Cola's legendary "Hilltop" commercial (which featured the song "I'd Like to Teach the World to Sing (In Perfect Harmony)"), died on May 13 2016 at the age of 89. Bill Backer was born on June 9 2016 in Charleston, South Carolina. 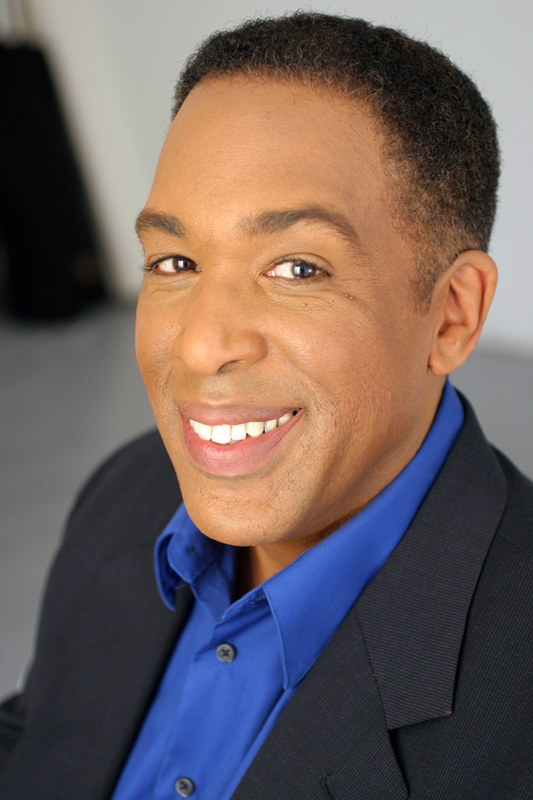 He graduated from Episcopal High School in Alexandria, Virginia, after which he served two years the United States Navy. In 1950 he graduated from Yale with a bachelor's degree. He spent three years selling real estate and writing jingles before he joined McCann Erickson. He started his career there in the mail room. Bill Backer remained with McCann Erickson for a few years before moving on to Young and Rubicam. Among his early work were slogans for Oreo ("Little girls have pretty curls, but I like Oreo") and Beech Nut Gum ("I’m not talking while the flavor lasts"). Bill Backer later returned to McCann Erickson where his career took off. There he worked on the Coca-Cola account. He developed the slogans "Things go better with Coke"and "It's the real thing". It was Mr. Backer who created the famous "Hilltop" ad for the soft drink, in which a multi-ethnic collection of young people stood atop a hill and sang "I'd Like to Teach the World to Sing (In Perfect Harmony)". It is often counted among the greatest advertisements of all time. While at McCann Erickson, Bill Backer also worked on the Miller Beer account. He came up with the slogan "Miller Time". For Miller Lite he came up with the slogan "Everything you ever wanted in a beer, and less", as well as the famous "Tastes great"/"Less filling" campaign. For Campbell Soup he developed the slogan "Soup is good food" and for Lowenbrau "Here's to good friends, tonight is kind of special." He also worked on advertising campaigns for Wendy's and Hyundai. At McCann Erickson, Bill Backer became creative director in 1972 and then vice chairman in 1978. In 1978 he founded his own agency Backer & Spielvogel with Carl Spielvogel. In 1987 it became Backer, Spielvogel & Bates Worldwide, Inc. There can be no doubt that Bill Backer was one of the most legendary ad men of all time. If the "Hilltop" ad had been his only contribution to advertising he would still be remembered. As it is he created a number of campaigns and slogans that are remembered to this day. While Coca-Cola slogans have come and gone since the Sixties, "Things go better with Coke"and "It's the real thing" are familiar even to people who weren't born at the time. Bill Backer had a knack of tapping into people's needs and desires and building entire campaigns around them. Few ad men were ever as successful as Bill Backer was. It is doubtful very many more will be in the future. Many people do not realise that Andy Griffith and Marilyn Monroe were born on the exact same day. Today I have seen many articles celebrating the 90th anniversary of Marilyn Monroe's birth, but not so many about Andy Griffith. I find that sad as for me Andy Griffith has always been the more significant of the two. I would not see my first Marilyn Monroe movie until I was nearly an adult. 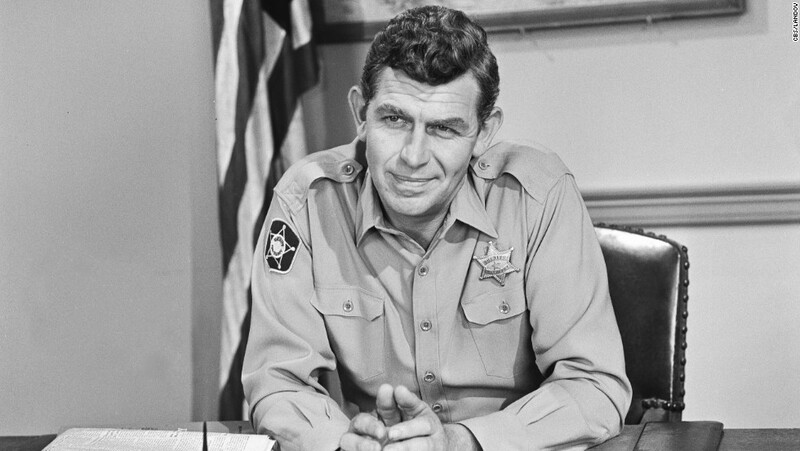 On the other hand, I grew up with Andy Griffith. In fact, I can't even remember a time when I didn't know who Andy Griffith was. Like most people I first encountered Andy Griffith on The Andy Griffith Show. I have no idea when I first saw it, but its final seasons aired when I was an infant, toddler, and very small child. That having been said, I remember it best from syndicated reruns, of which there has never been any shortage. In fact, I dare say that at no point since it went off the air has there not been a time when one couldn't watch The Andy Griffith Show in mid-Missouri! The Andy Griffith Show appealed to me greatly as a child and it is still one of my all-time favourite shows. This should be little wonder. I grew up on a farm outside a small town that was and still is a lot like Mayberry. Furthermore, my father always reminded me quite a bit of Andy Taylor. Oh, he was a farmer rather than a sheriff, but like Andy Taylor he was gentle yet firm, and possessed of a mischievous sense of humour and a gift for telling stories. To me The Andy Griffith Show was always much more relevant than the so-called "relevance' shows that debuted in the early Seventies. I was still a lad when I first saw Andy Griffith in both No Time for Sergeants (1958) and Onionhead (1958). I loved both movies then and I still love them now. Even though both characters were from the South, I always thought Will Stockdale of No Time for Sergeants was a very different character from Andy Taylor. Both had a rather playful sense of humour, but Andy was quite a bit brighter than Will, who would seem to be at least part of the inspiration for Gomer Pyle. The first time I watched No Time for Sergeants much of its subtle satire was lost on me, but I thought it was very funny regardless. Of course, as an adult I appreciate it that much more. I really liked Onionhead as well, even though it is a very different film despite its military setting. Al Woods was a good deal brighter than Will Stockdale and probably more cultured than Andy Taylor (the movie begins with him quitting college), but he is still recognisable as the sort of character for which Andy Griffith was best known for playing: affable, friendly, and funny. I would be a young adult before I saw what I consider Andy Griffith's greatest performance. In fact, A Face in the Crowd (1957) was a bit of a revelation for me. Before I had only seen Andy Griffith playing men who were kind, friendly, honest, and funny. Some might be brighter than others, but in every case they were definitely upstanding citizens. This was not the case with Lonesome Rhodes, who was about as far as Andy Taylor as one could get. Indeed, Lonesome Rhodes could be considered an outright sociopath. Initially the host of a local radio show and eventually a national TV show, Rhodes was selfish in the extreme and clearly an egomaniac. Unfortunately, he was also charismatic enough to gain a sizeable following. Andy Griffith gave a bravura performance as Lonesome Rhodes, so much it shocks me that Mr. Griffith was not nominated for the Oscar for Best Actor for the role. Indeed, he should have won. Sadly, A Face in the Crowd seems to have grown more timely with each passing year. Of course, as both a child and a young adult I would see Andy Griffith in yet other roles. He starred in a short lived comedy-drama The Headmaster in 1970, which I barely remember. As a child I also remember seeing him in the movie Angel in My Pocket (1969), in which he played a role not too far removed from Sheriff Andy Taylor. I remember him very well as crusty B-Western extra Howard Pike in Hearts of the West (1975). I also remember him in the short lived TV show Salvage 1, which ran briefly in 1979. Of course, all through my childhood Andy Griffith's comic monologue, "What It Was, Was Football" was always being played on the radio. It may well be my favourite comic monologue of all time. Although best known for his amiable "good ol' boy" roles, Andy Griffith was nothing if not versatile. He did play villains beyond Lonesome Rhodes in his career. The 1974 TV movie Savages was sort of a modernised version of The Most Dangerous Game, with Andy Griffith playing a homicidal lawyer and amateur hunter determined to kill the only person who saw him accidentally shoot someone. In the spy parody Spy Hard (1996) Andy Griffith got to play a truly Bondian villain, General Rancor, who aims to take over the world. While Andy Griffith was good at playing villains, he could also be quite good roles that were different from both Andy Taylor and Lonesome Rhodes. He was excellent as curmudgeonly business owner Joe in the movie Waitress (2007) and as ageing womaniser Grandpa Joe in the 2009 film Play the Game (not necessarily a good film, but Mr. Griffith is quite good in it). Of course, for many Andy Griffith will always be Ben Matlock on the long running TV show Matlock The character of Matlock really wasn't that far removed from Andy Taylor, although Ben was always a good deal more cantankerous and perhaps a little less folksy. I rather suspect the show's lasting success is mostly due to Andy Griffith, whose charm is present in the role much as it was when he was playing Andy Taylor. It runs in syndication to this day. As I said earlier, over the years I have never known a time when I did not know who Andy Griffith was. He has been a part of my life far longer than many actors and other performers. Not surprisingly, Andy Griffith has had an enormous impact on my life and remains one of my favourite actors of all time. Indeed, to this day when I stop to think of the right thing to do in any given situation, it often occurs to me, "What would Andy Taylor do?" I am sure I am not alone in my high regard for Andy Griffith and the impact he had on my life. Indeed, with The Andy Griffith Show and Matlock still in reruns to this day, I am sure there are many others like me. Many actors over the years have played war heroes on the big screen; however, there are only a few who actually were the real thing. Among them is Eddie Albert. Best known today as a comic actor, particularly as the lead in the classic sitcom Green Acres, he served in the United States Navy during World War II and performed a remarkable feat of heroism. Indeed, Eddie Albert performed services for his country even before the war began, even before he was enlisted in the military. In the Thirties Eddie Albert already had an established career in entertainment. He appeared on Broadway in Brother Rat, Room Service, and The Boys in Syracuse. In 1938 he made his film debut in the adaptation of Brother Rat. It was in 1939 while he was sailing off the coast of Baja California that he heard rumours of the Japanese making hydrographic surveys of the region while posing as fishermen. He reported this to United States Army intelligence. In 1939 Eddie Albert toured with the Escalante Brothers Circus in Mexico. While he was performing with the Escalante Brothers Circus Mr. Albert photographed German U-boat activity off the coast of Mexico. It was in September 1942 that Eddie Albert enlisted in the United States Coast Guard. In 1943 he was discharged from the Coast Guard so that he could become a lieutenant junior grade in the United States Navy. It was in November 1943, during the Battle of Tarawa, that Eddie Albert performed an incredible act of bravery. Coral reefs around the Tarawa Atoll made it impossible for the Marines to land directly on the beach. As a result the Marines had to disembark from the landing craft about 500 yards from the shore. Unfortunately they were welcomed by intense gunfire from the Japanese. In a matter of minutes many Marines were wounded or dead. Eddie Albert had been sent to the area to retrieve equipment, but when he saw the Marines being slaughtered he commandeered a boat and saved 47 Marines at incredible risk to his own life. He supervised the rescue of 30 more Marines. 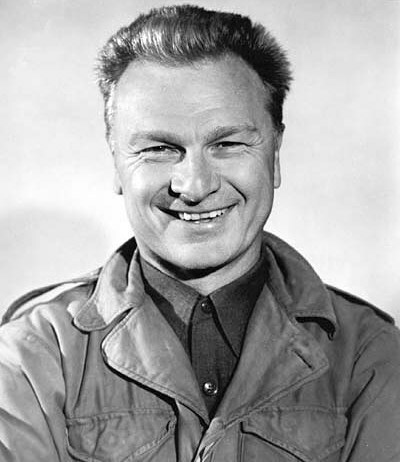 For his bravery during the Battle of Tarawa Eddie Albert was awarded the Bronze Star with Combat "V". In later years Eddie Albert would be asked about his courageous action during World War II. Rather than talk about himself, Mr. Albert preferred to discuss the courage of the Marines at the Battle of Tarawa and others with whom he served. Today Eddie Albert might be best remembered as Oliver Wendell Douglas on Green Acres, but during World War II he served his country with honour and performed an act of bravery of which many would not have been capable. If you are a Turner Classic Movies fan there is little way you could have avoided the news this past week that the cable channel has hired a new, permanent on-air host. Tiffany Vazquez is only the third on-air host hired by Turner Classic Movies (after Robert Osborne and Ben Mankiewicz) in the channel's entire 22 year history. At 29 years of age she also happens to be the youngest host hired by Turner Classic Movies (Robert Osborne was 61 when he started hosting Turner Classic Movies while Ben Mankiewicz was 36). 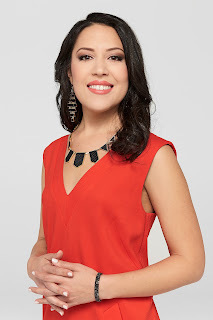 She is also the first permanent female host and the first Latina host as well. Miss Vazquez will host Turner Classic Movies's Saturday afternoon programming block. Tiffany Vazquez was born in the Bronx, but grew up in Queens. She earned a Masters degree in international studies at St. John's University and a Master's degree in Cinema Studies at New York University. She interned at the Tribeca Film Festival and the Lincoln Centre. She served as Social Media/Web Content Manager at Christ Tabernacle Church in Glendale, New York. She is currently senior editor for film content at Giphy. In 2014 Miss Vazquez won Turner Classic Movie's Ultimate Fan Contest. She was flown to Atlanta where she introduced the classic procedural The Naked City (1948) with Robert Osborne. This past December she was the host of TCM's Spotlight on Girlfriends in the Movies. At this year's Turner Classic Movies Classic Film Festival she served as a roving reporter. As I mentioned earlier, Tiffany Vazquez's hiring is certainly history for Turner Classic Movies. She will be the first woman to serve as a permanent host on the channel. She is also the youngest permanent host Tuner Classic Movies has hired. Given how many of my classic film friends are young women belonging to Generation Y, I think it is fitting that Tuner Classic Movies has one as a host. Indeed, over the years Turner Classic Movies has continued to draw a younger audience and I am hoping that Miss Vazquez's presence will help continue that trend. Miss Vazquez is also the first Latina to serve as a permanent host on Tuner Classic Movies (although not the first host to belong to a minority--Ben Mankiewicz is Jewish in descent). This certainly makes Tuner Classic Movies much more diverse. Indeed, Tiffany Vazquez is living proof that not all classic film buffs are old, white, and male. Tiffany Vazquez will make her debut as a permanent host on Tuner Classic Movies on June 4. She will host four movies starting at noon and ending at 8 PM Eastern Time. The first will be Rebel Without a Cause (1955). I missed Tiffany Vazquez when she was on Turner Classic Movies earlier, but I am certainly looking forward to her debut. My classic film friends have had many good things to say about her and, I must say, anyone whose choice of movie to introduce with Robert Osborne is The Naked City scores points in my book. Of course, here I must point out that Robert Osborne is much older than when he first started hosting Turner Classic Movies and his health is not what it used to be. Sooner or later Tuner Classic Movies will have to hire another permanent host. Here I will play armchair quarterback for a moment and suggest whom Tuner Classic Movies should hire as their next permanent host: Bobby Rivers. Mr. Rivers has a long history in broadcasting going back to his days in radio in Milwaukee. Many of you might remember him from his days on VH1, where he interviewed everyone from Kirk Douglas to Sir Paul McCartney to Norman Mailer. He also served as a veejay on the channel. He was later a host on Lifetime Live on the cable channel Lifetime. He was later a host on the Food Network. He maintains the blog Bobby Rivers TV. I personally believe Bobby Rivers would be a perfect fit for Tuner Classic Movies. He has been a classic film buff all his life and has substantial knowledge of classic film. Indeed, many classic film buffs are already familiar with him from Twitter, Facebook, and his blog. I think I can speak for all of us when I say he is both charming and affable. Anyone who saw him during his days with VH1 knows that he is a very fine interviewer. I think Bobby Rivers would be a perfect fit for Tuner Classic Movies. Of course, as a matter of full disclosure I must point out that I have been a fan of Mr. Rivers since his days on VH1 and we have been online friends for several years now, so I might just be biased. Regardless, the hosts of Turner Classic Movies have always played an important role for the channel. They provide much more than simply providing commentary and trivia before and after each movie. Permanent hosts such as Robert Osborne and Ben Mankiewicz, as well as occasional hosts such as Illeana Douglas, provide fans with faces for the channel and thus forge a stronger bond between fans and the channel than if it had no hosts. I have no doubt that Tiffany Vazquez will continue that tradition and look forward to seeing for years to come.